Sick Days. We all have them now and then; however, I must admit that, fortunately, mine are far and few between. But last week I had one of those days, when waking up without a voice was followed by a day of coughing and sneezing. Yuck! Nevertheless, dinner had to get on the table and it’s my job to get it there. 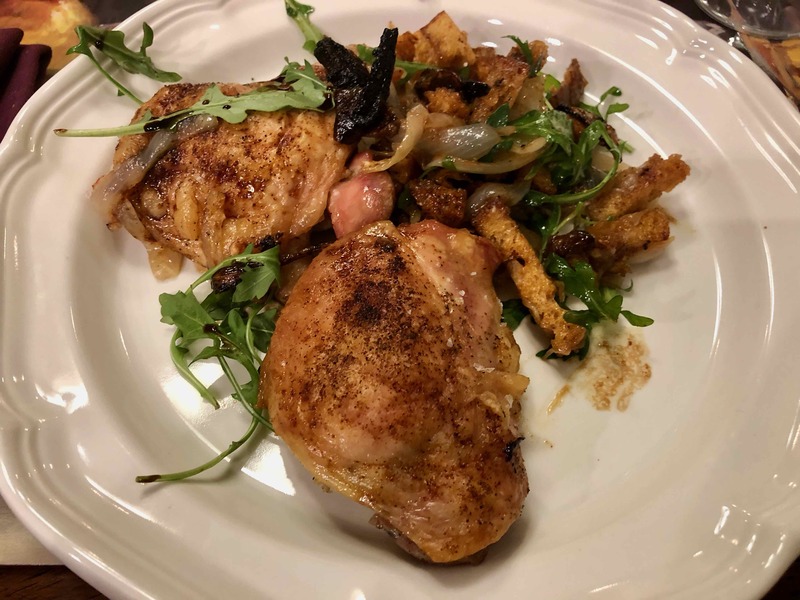 Sure, I could have accepted my better half’s offer to get take out or order in, but I find that my own cooking, no matter how simple, does a better job of putting me on the road to recovery. 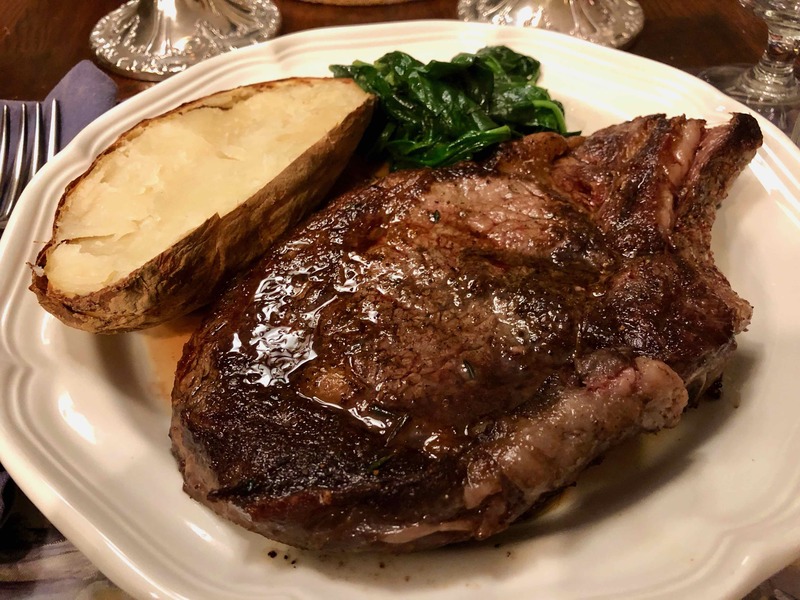 When it comes to having steak at home, more often than not my choice is a thick-cut boneless New York strip grilled on the stove top. 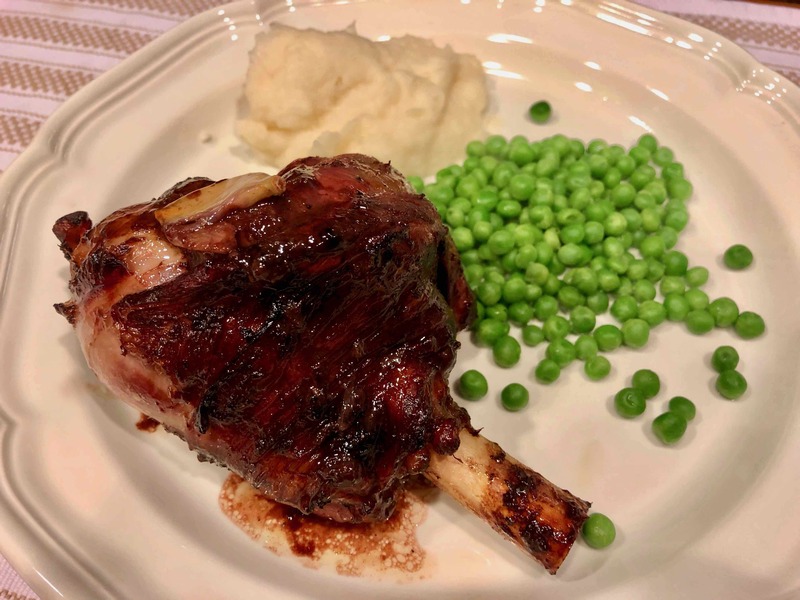 However, when my husband returned from the market with two hefty bone-in rib eyes, I had to admit that they looked quite tempting. Serendipity led us to last night’s scrumptious vegetarian dinner. 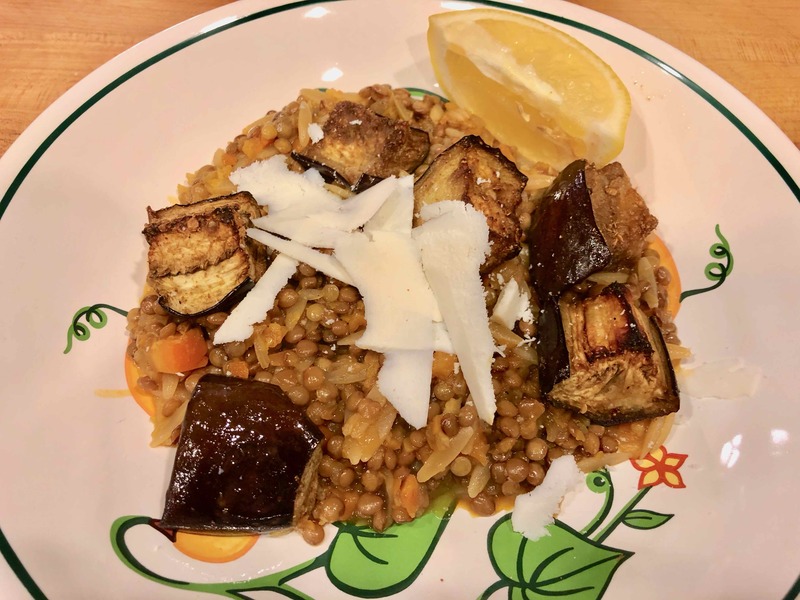 On Friday, my husband sent me a recipe by Yewande Komolafe he found in The New York Times for a lentil and orzo stew with roasted eggplant. Little did he know that, just the day before, I had already chosen the very same dish for a future post. Given the recent dank and dreary weather, atypical for San Diego, the stew was the perfect entree: earthy lentils, slowly simmered with aromatic vegetables and orzo, brightened by finishing with the juice and zest of lemon, and then topped with meaty chunks of eggplant roasted with warm and citrusy coriander. 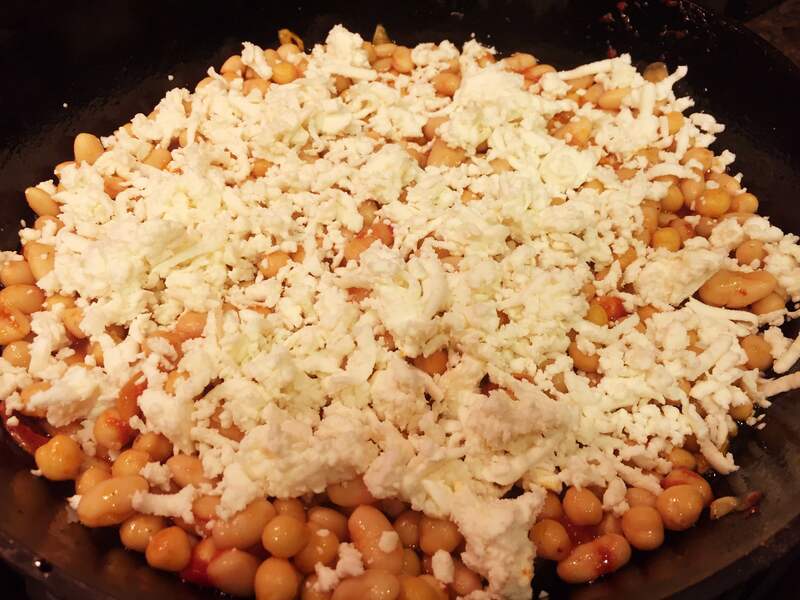 A few shavings of salty ricotta salata or even some crumbled feta completes the dish. Despite growing up in an Italian-American household, I never heard of the “Feast of the Seven Fishes” until much later in my life. 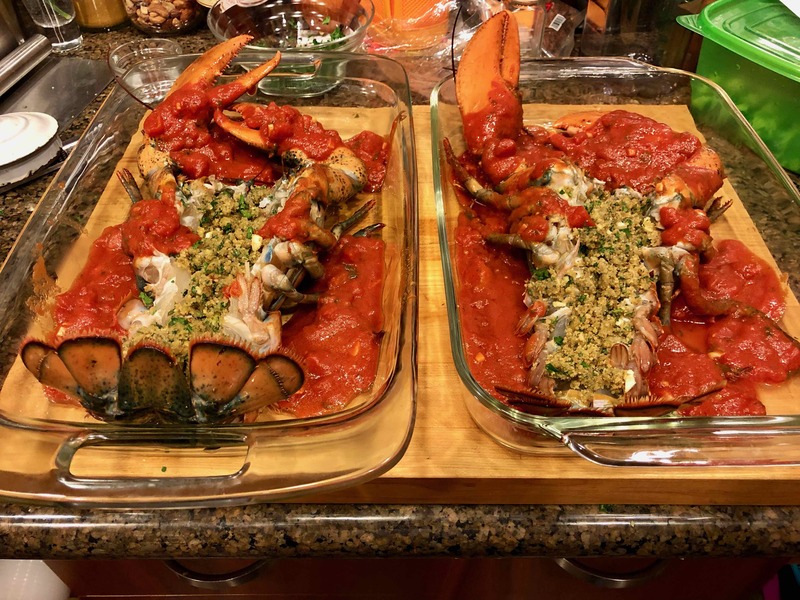 For us, Christmas Eve meant one thing: lobsters fra diavolo. 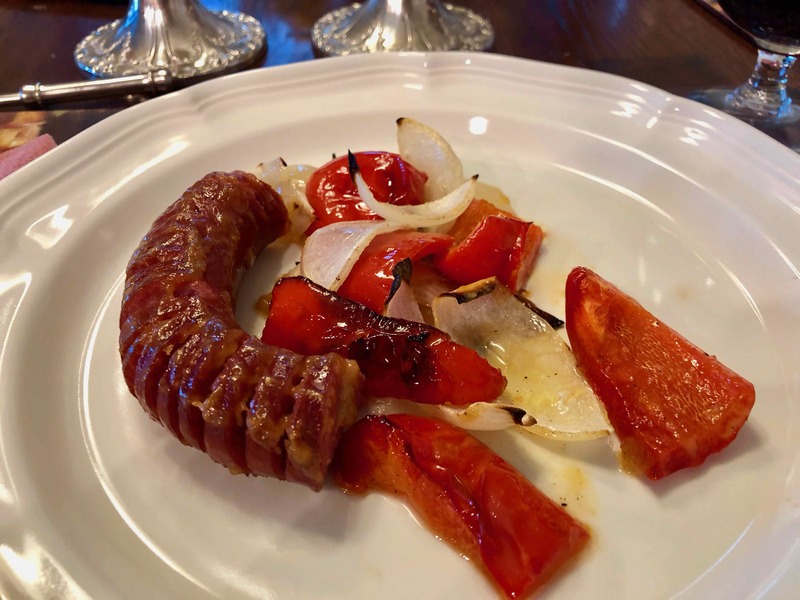 They were the focal point of an elaborate dinner that started with appetizers, which included an insalata frutta di mare, a seafood salad with calamari, shrimp, and celery dressed with lemon juice and olive oil. Occasionally there was also a plate of white-fish salad. After the cold appetizers, came a platter of baked clams, which concluded the antipasto portion of the meal. 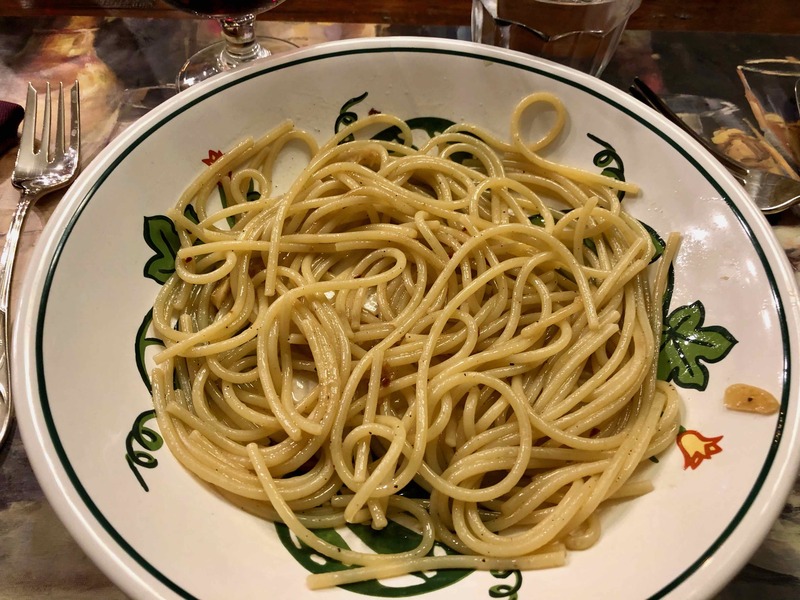 We then went on to the pasta, which was always linguine alle vongole, linguine with clam sauce, always white, which was then followed by the main course: lobsters fra diavolo. Each of us was served an individual lobster. Even as a child, I had my own. 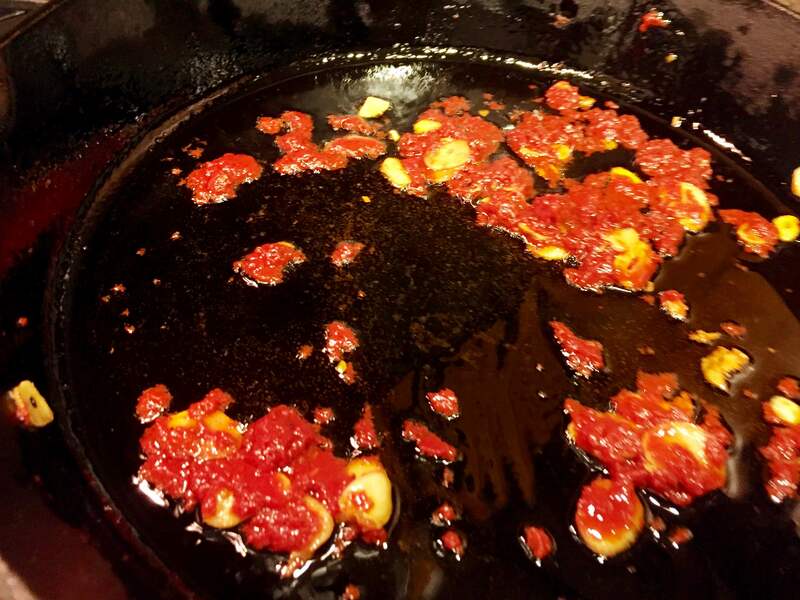 Of course, my dad had to help me battle with it to extract its sweet meat napped with my aunt’s spicy tomato sauce. But as a child, it was the lobster’s savory bread stuffing that I enjoyed the most. 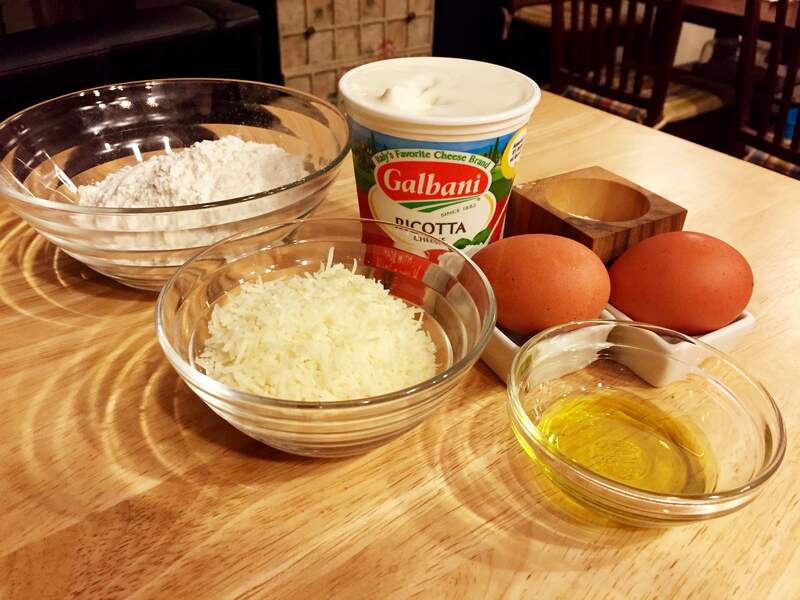 A few days ago while online, I came across a relatively stress-free recipe from Mark Bittman for ricotta gnocchi. 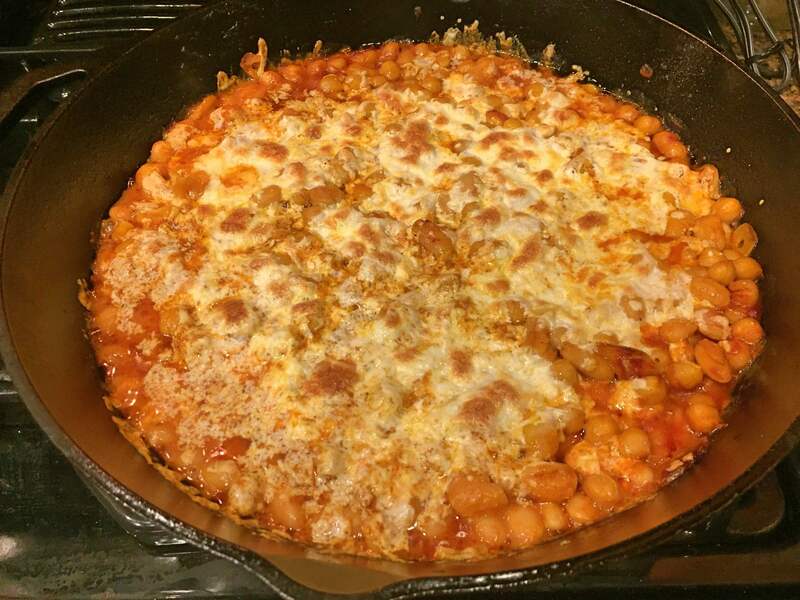 Although I was tempted to use it as a subject for a post, the recipe’s gnocchi looked more like huge rounded dumplings than the more typical small pillow-shaped pasta most people associate with gnocchi. 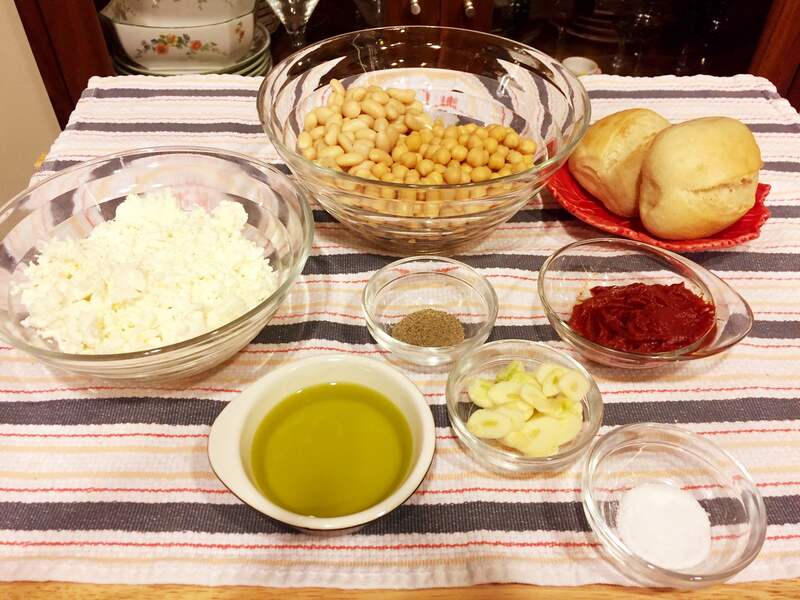 So I looked elsewhere on the web for other ricotta gnocchi recipes and eventually settled on one by Geoffrey Zakarian. 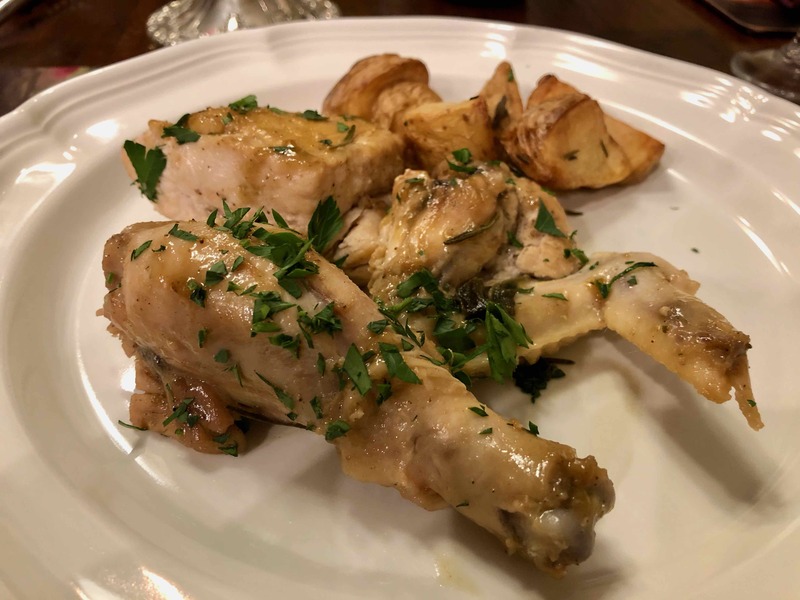 The recipe, accompanied by a video of his preparing the dish on a Food Network show, yielded gnocchi that resembled the potato versions I’ve made before. In the video, the process looked not only effortless but foolproof. 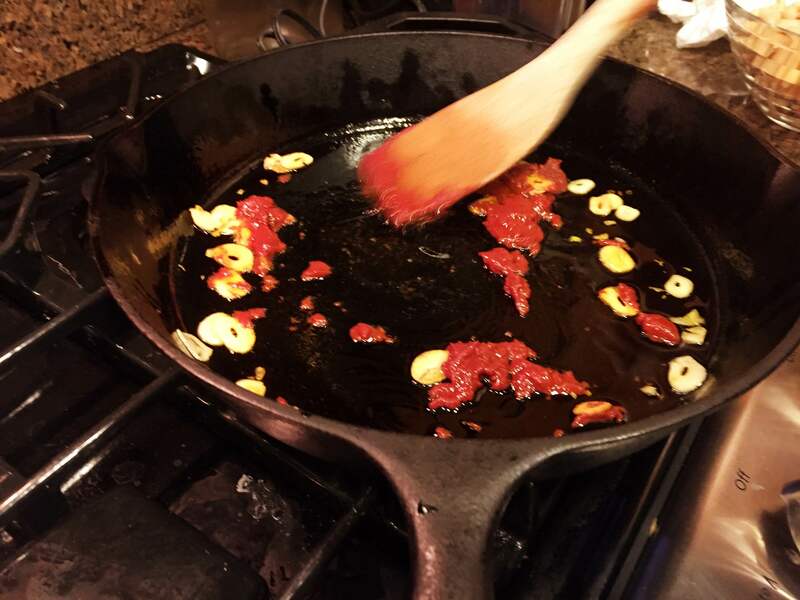 Executing the recipe in real time, however, proved to be quite another story. 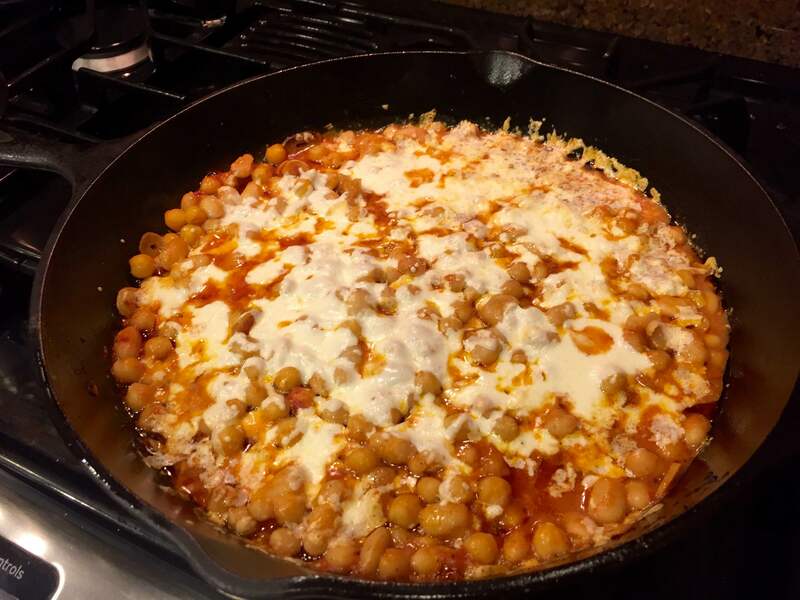 I should have known better than to follow blindly any recipe from the Food Network since, more often than not, the printed recipe doesn’t match the videoed one. 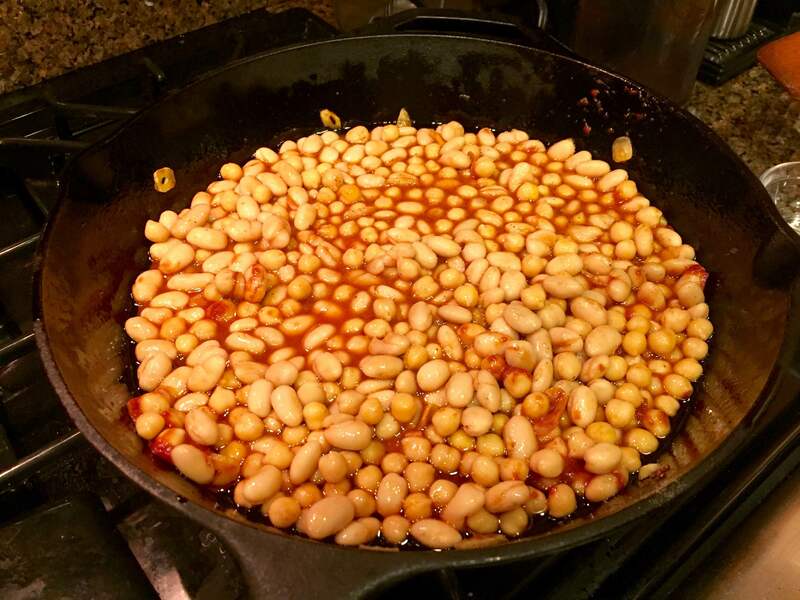 Moreover, it’s my belief that the proverbial “magic of television” often shows a finished dish that’s been tweaked behind the scenes and touched up by a food stylist. But this is a subject for a future “musing” here. My experience last night is chronicled. In retrospect, could’ves, should’ves, and would’ves keep echoing in my brain. 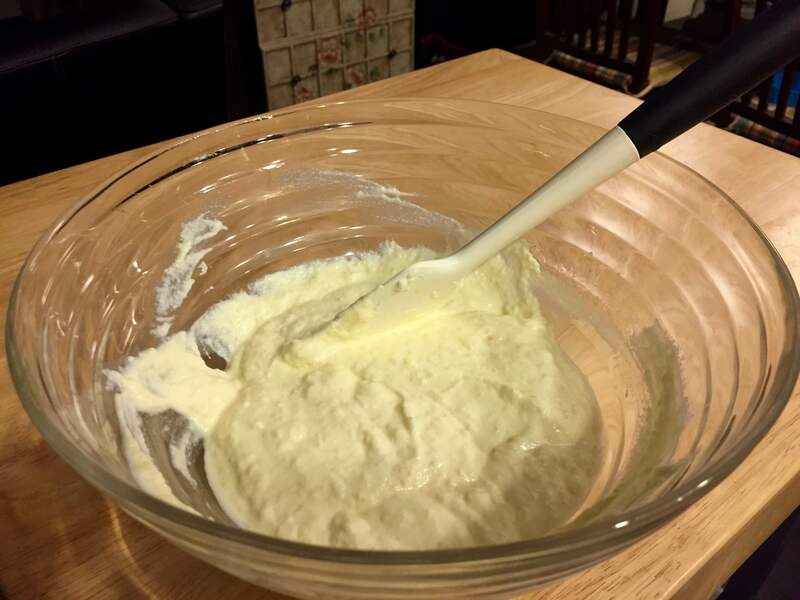 I could’ve gone to trusted cookbooks; I should’ve trusted myself and used drained ricotta; I would’ve used less flour. . . 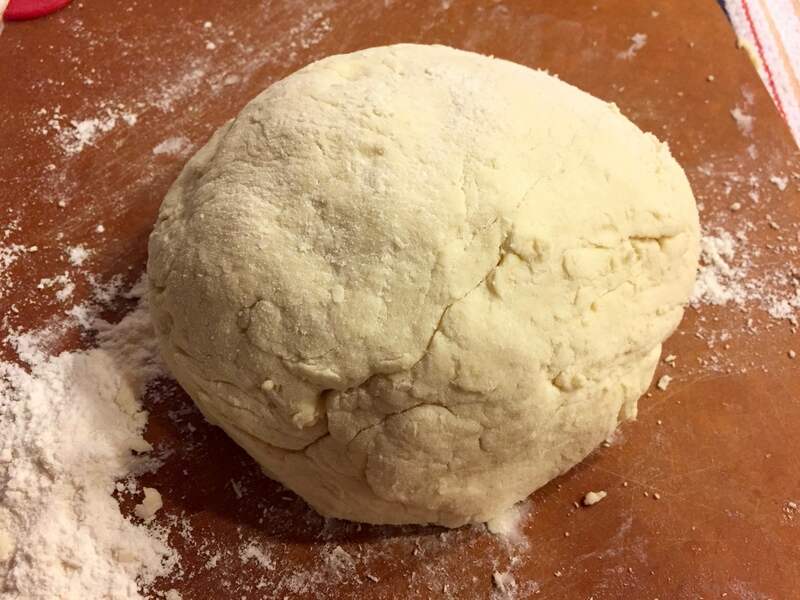 I believe that the photos in this post will show where I went wrong, especially the one of the finished ball of dough. 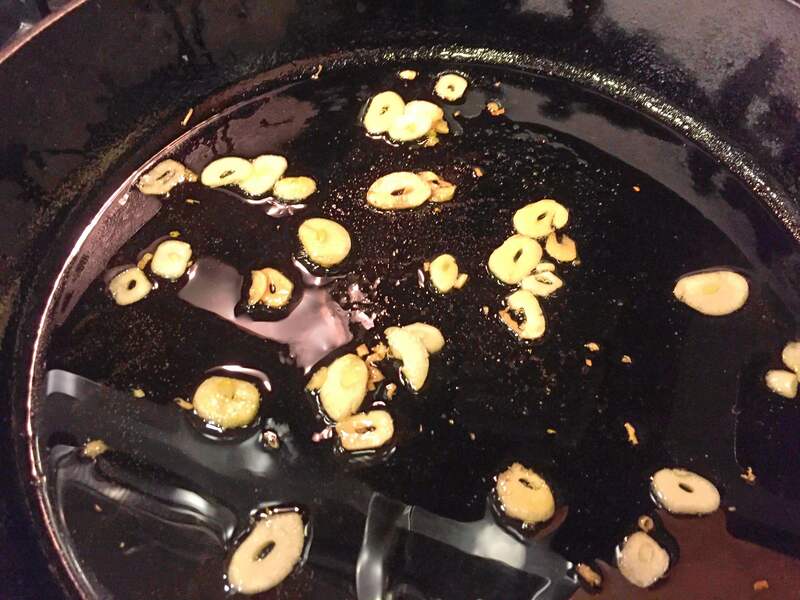 Perhaps “sinkers” is an apt description of the gnocchi. 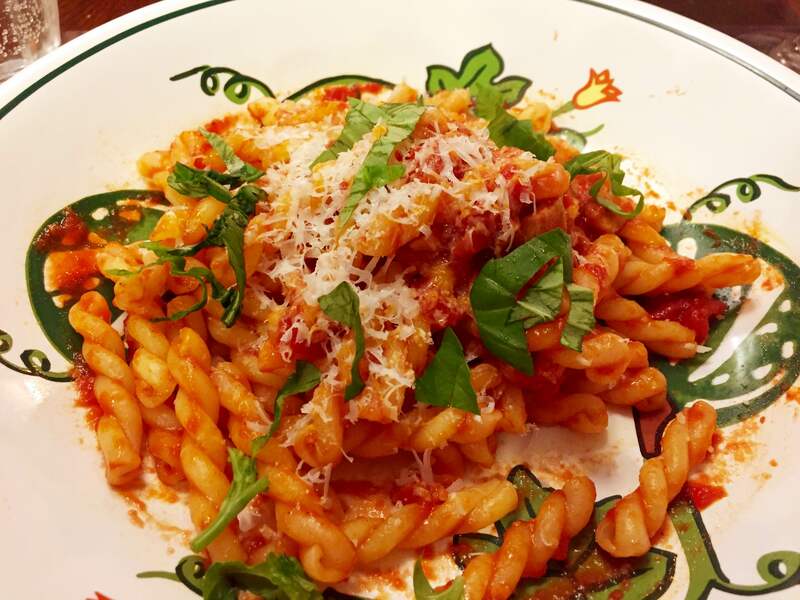 Fortunately, I used my own recipe for a pancetta-tomato sauce and had enough remaining to serve two helpings of perfectly al’ dente gemelli. 2. 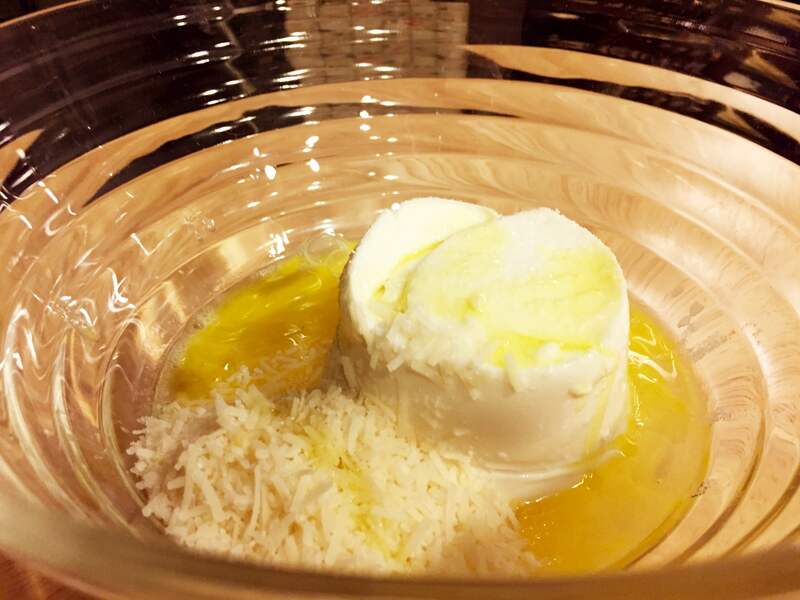 Combine the ricotta cheese, Parmesan, olive oil, eggs and 1 teaspoon salt with a whisk in a large mixing bowl. 3. 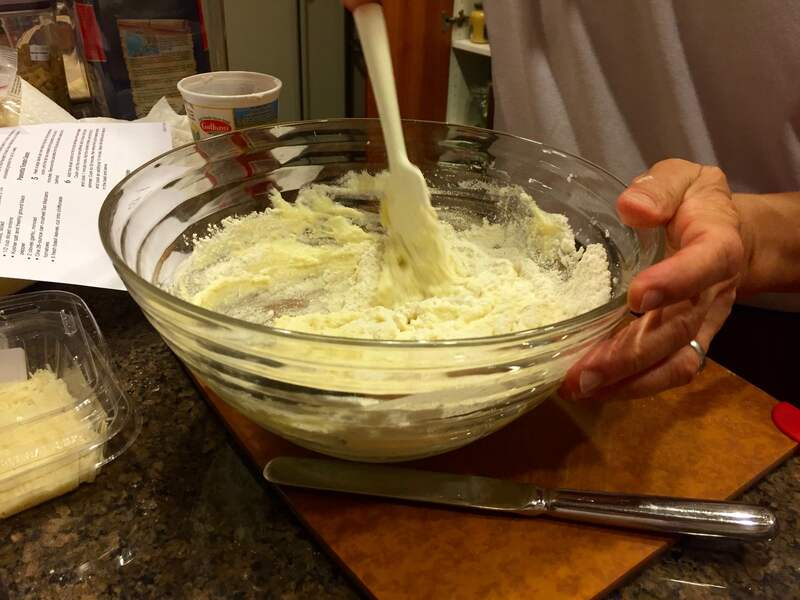 Add the all-purpose flour in 3 parts, stirring with a rubber spatula. 5. 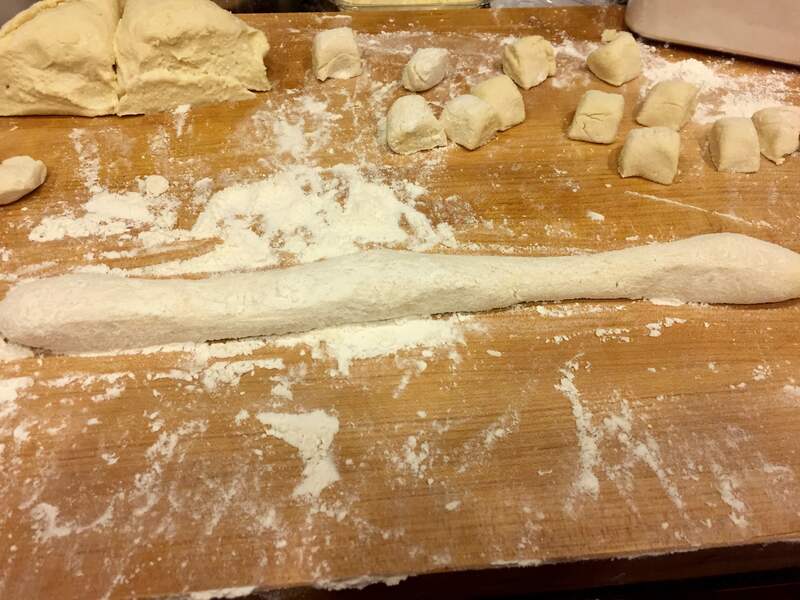 Roll the cut- off piece of dough into a dowel shape about 5/8 inch in diameter. 6. Cut the dowel into 5/8-inch pieces. 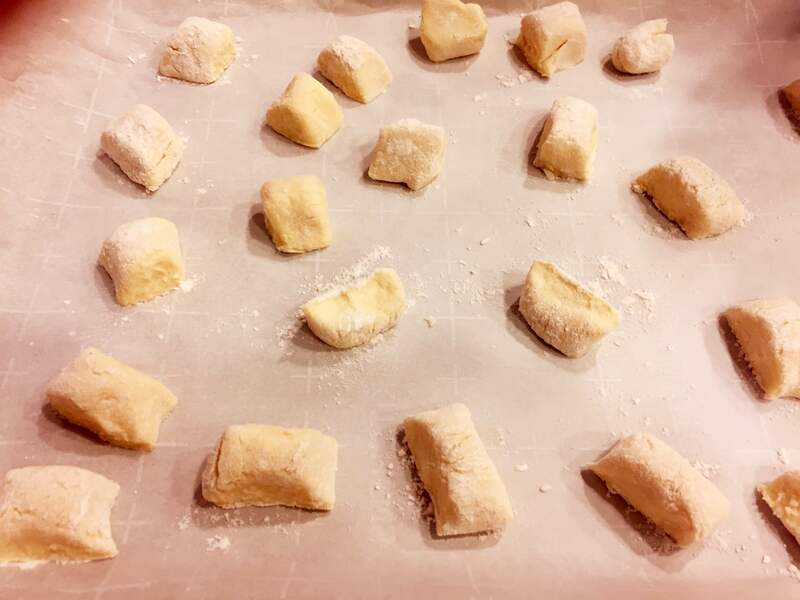 Dust some parchment paper with semolina flour and place the gnocchi on it to prevent sticking. Repeat with the rest of the dough, quarter by quarter. 7. 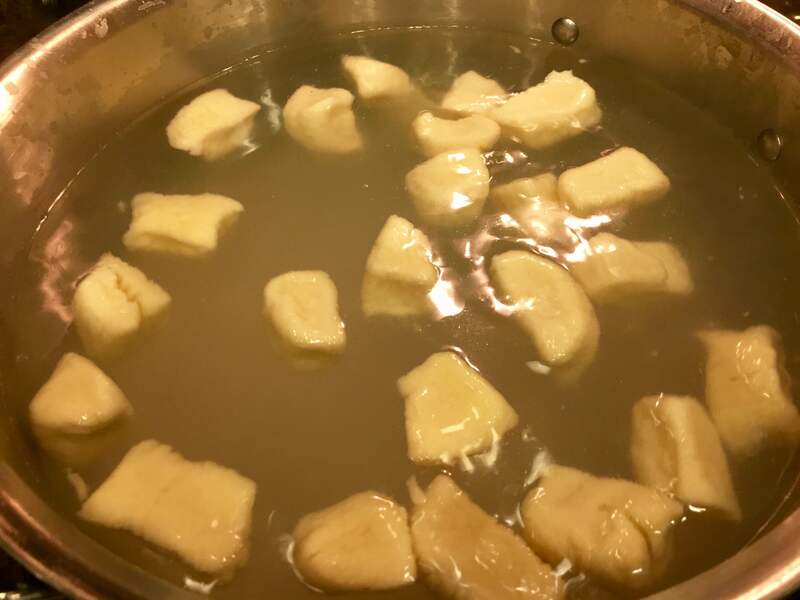 Cook the gnocchi in the boiling water for 2 minutes. 8. 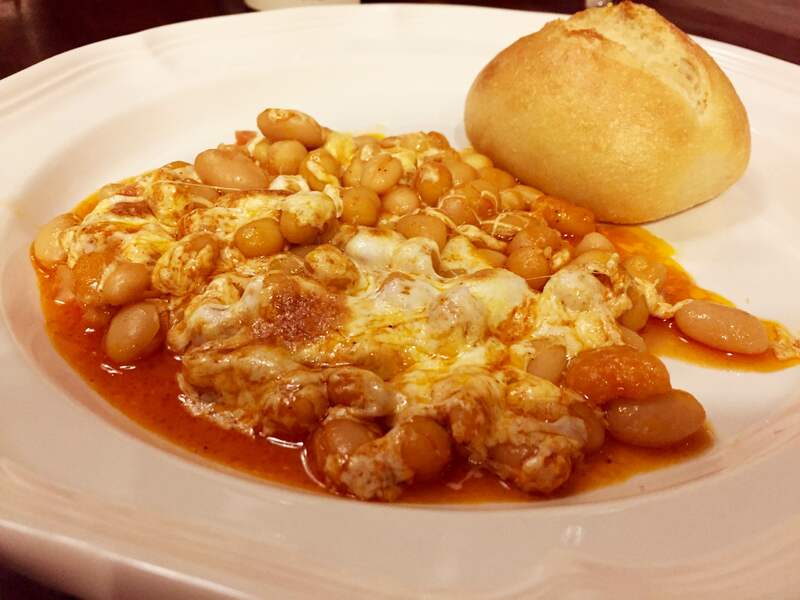 Serve tossed with a bit of the Pancetta Tomato Sauce. 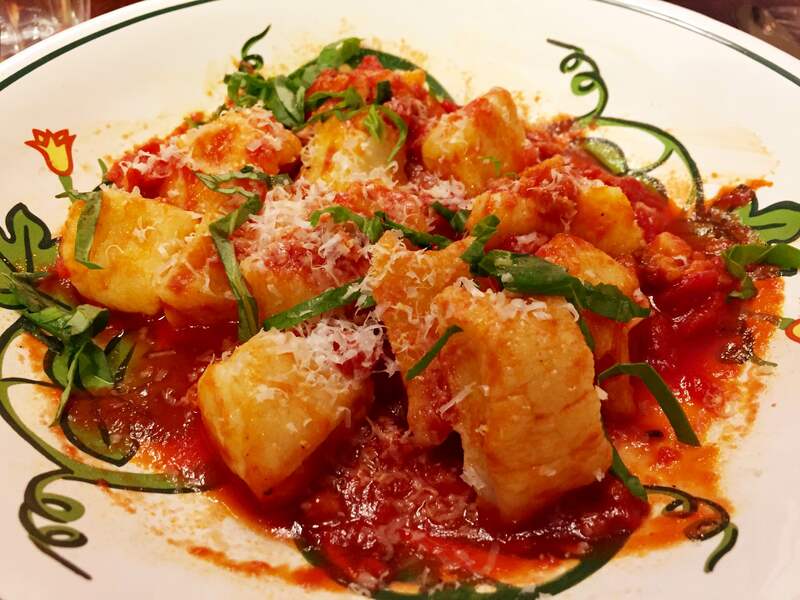 Alternatively, you can freeze the uncooked gnocchi for up to 2 weeks.